You heard that content marketing works and you’ve already got a website. Surely that’s enough for people to know about your brand? It’s a good start. But it’s not enough. Thinking about content performance, keywords, PR, social media and branding can be overwhelming. But now it’s time to ask yourself – what do you really want from your content marketing? Successful content marketing strategies aren’t just pulled from thin air. A successful campaign takes time, effort and multiple lattes to pull together. Why? Well because the digital world is becoming increasingly competitive with ‘wow factor’ brands getting the most hits. Of course, there are company fails too, but in order to stand out from the crowd, it’s important to get your groove on and start thinking creatively about content marketing! Don’t just delve into content marketing because it’s cool and trendy. It is, of course, but you need to dig deeper than that. Yes, brainpower is required, so think carefully about what you want to achieve. In that case, a nice competition or giveaway with a clear call to action might come in handy in order to garner interest in your brand and promote interaction. 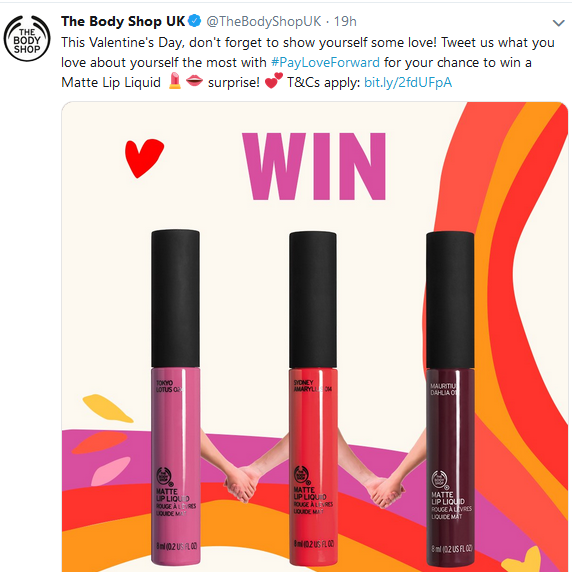 Check out the below Valentine’s campaign from The Body Shop UK. Top Takeaway 1: Tell people directly what you want them to do so there’s no confusion. Top Takeaway 2: Use hashtags to create a social media buzz and make your posts easier to find. Why not also run interactive polls to keep people coming back for more content? Remember, social media is not all about pushy sales messages. In fact, this is often a huge turnoff. 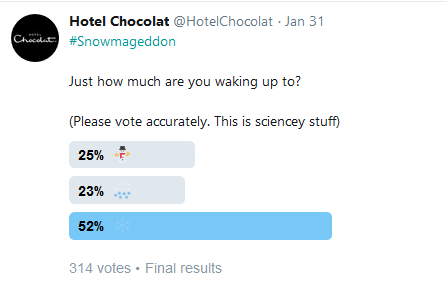 So, don’t be afraid to think outside the box like Hotel Chocolat below who very much jumped on the January snow craze which took grip in the UK. Top takeaway: Social is a great place to let your hair down and build a loyal following. Once customers like and respect your brand, they’ll be more inclined to make a purchase. Whether you’re releasing a new product or simply want to draw attention to your current offerings, it’s important to create a sense of urgency. 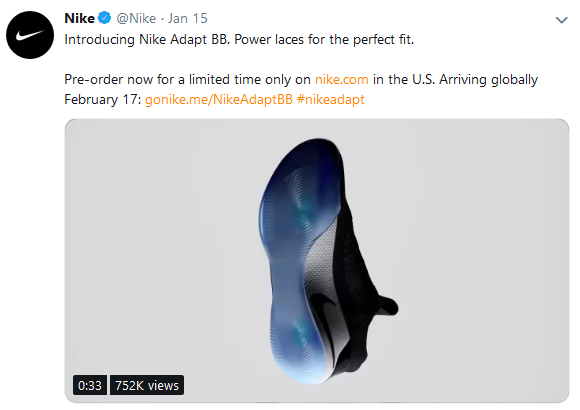 Take a look at Nike’s Twitter post which not only uses the fear of missing out (FOMO), ‘pre-order now for a limited time only,’ but also makes use of video content to bring a visual element to the campaign. Top Takeaway 1: Link back to relevant brand pages in order to encourage sales. Top Takeaway 2: Use branded hashtags to make your posts searchable. Top Takeaway 3: Jump on the video production bandwagon. Video content will reign supreme by 2021 and is already taking social media by storm, so it’s a great addition to any post. If you want people to remain loyal to your brand, you must stay relevant and interesting! Be useful! Sure, you want consumers to spend money, but the best way to do this is to become a go-to source of information. Be the brand that people can’t get enough of. 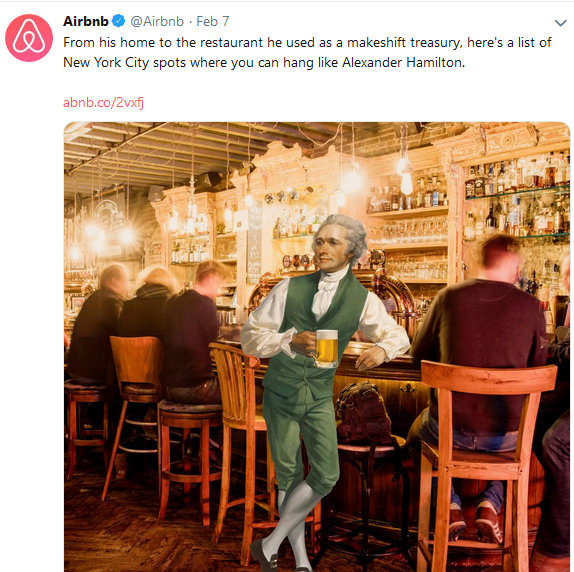 Airbnb are well-known for their insightful and entertaining social media efforts. Below, they’ve provided useful hangout spots for those in New York City. Top Takeaway 1: Provide location specific advice to a niche audience where appropriate, as this should garner interest from those in the area more intensely than generic content might. Content with location-based keywords is also a great way to improve local Google search rankings for your business. Top Takeaway 2: Being useful applies to all sectors. If you’re working in finance, for instance, why not create a content hub for traders or crypto newbies? Offering all the information someone may need in one place will save them a whole lot of time and effort while simultaneously making you a top platform in your field. Dividing up your articles into categories is a great place to start helping to enhance the user experience. See how Blackwell Global did it. Brand authenticity is crucial particularly within industries such as finance that are plagued by exchange hacks and scams. One of the best ways to improve authenticity is by introducing key members of management as this helps to humanise your organisation. 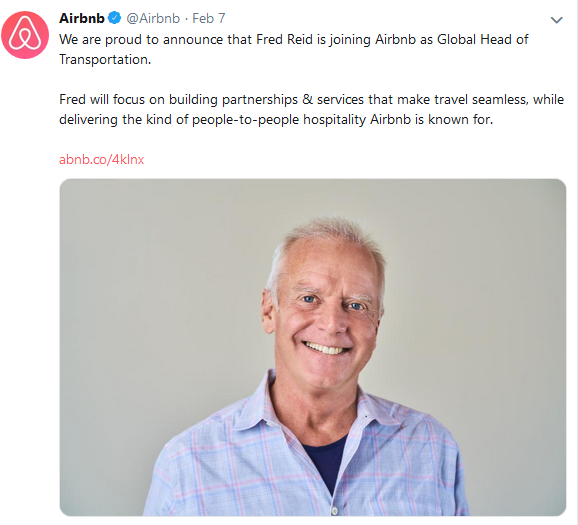 Airbnb does this well via their social accounts. Top Takeaway 1: Make the most of photographs or video content to bring your business to life. ‘Going live’ is another great option helping people to see ‘behind-the-scenes.’ Posting regular features to sites like YouTube can also help to cement your relationship with followers. Today, people can see right through fake testimonials, stock photos and reviews. So, it’s a good idea to leave the generic five-star ratings at the back door and turn to user-generated comments instead. 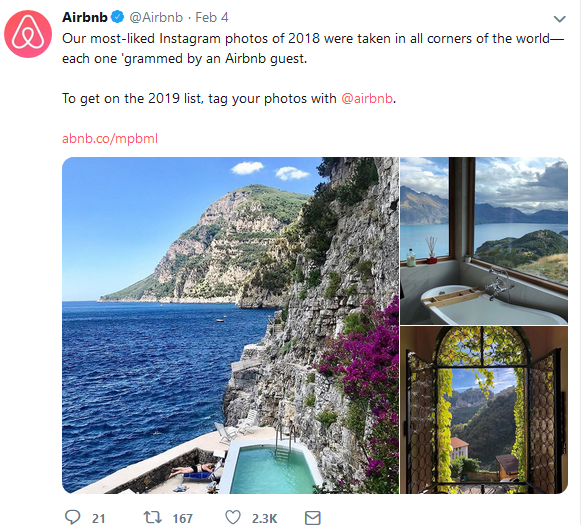 Check out the below example pulled from Airbnb’s Instagram interaction. This is the perfect example of a cross-channel campaign. Top Takeaway 2: Link back to relevant and more extensive content that will keep consumers engaged. As you can see, great content starts with deciding what you want to achieve and creating an actionable content marketing strategy. Speak to our team now about your content marketing. Contentworks > The Content Bar > Lifestyle > What Do You Really Want From Your Content Marketing?